Travelling for work? Don’t get stung by your tech. These days we rely on our gadgets so much for both work and play that it’s hard to imagine leaving them behind when you head to the airport for international travel. If you’re stuck on a longhaul flight then your notebook, tablet or even a smartphone will let you knock over a few hours’ work so you can hit the ground running. It’s worth checking before you fly whether your seat has a power socket or USB port and whether the airline offers in-flight wi-fi. Once you’ve finished working you can kick back and relax for the rest of the flight with some music or a movie. Throw a pair of noise-cancelling headphones in your carry on bag, along with spare batteries, and you’re set for even the longest flight. When you finally reach your destination your first reflex might be to switch off airplane mode on your phone and re-establish contact with the world, but that could be an expensive mistake. There’s no shortage of global roaming horror stories from Australians who thought they could sneak in a few quick calls and emails while travelling but got stung with a hefty bill. The trick to beating bill shock is to do your research before you leave home, so you know the most cost-effective way to stay in touch while you’re on the road. Some Australian telcos are making an effort to help customers curb global roaming bill shock, but make sure you read the fine print carefully. You need to know which countries are included and exactly what is and isn’t covered. 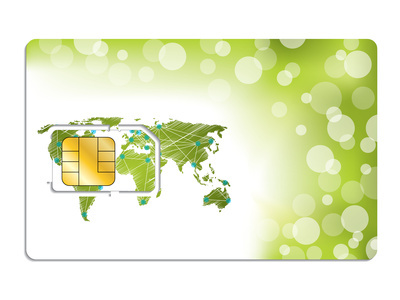 If you’re travelling to several countries then a travel SIM card such as Tru SIM or TravelSIM might be the most cost-effective option, especially if you’ll be making and receiving a lot of voice calls. You might need to unlock your smartphone from your Australian telco to use a different SIM card. This can take a few days, so don’t leave it until the last minute. The travel SIM operators do deals with telcos around the world to get the best call rates, although you need to check if you’re also paying to receive calls in some countries. One advantage of a travel SIM card is that you can order it before you leave home, so you know what your new phone number will be. Unfortunately mobile data still tends to be expensive on travel SIM cards. If you rely more on data than voice when you’re on the road then you’ll need to decide if you can make do with with public wi-fi hotspots or whether you need access to mobile broadband. Public wi-fi is more common in some countries than others, although a Starbucks or McDonalds is usually a good starting point. If you must have mobile broadband access when you travel then the best option is probably to buy a local SIM card when you arrive at your destination. You can probably pick one up at the airport, but once again it’s important to do your research before you leave home to make sure you get the best deal. Some deals only offer voice, some only offer data and some offer both. Some deals are only available to locals, while others are restricted to foreigners. Some services are pre-paid and others post-paid. Sometimes you can walk up to the counter and buy a SIM card on the spot, other times it’s best to rent your SIM card and book it in advance. That’s a lot to think about and these aren’t the kinds of questions you want to face when you’ve just staggered off an international flight. It’s best to do your research before you leave so you can hit the ground running. A few minutes on Google will turn up travel sites with people sharing their experiences on the road. In every country there are always some telcos which offer better coverage than others, so don’t buy a cheap SIM card which only works in the big cities if you plan to get off the beaten track. You might find a capped data plan, but check the fine print to see if that also covers tethering to your computer. Using your smartphone to create a wi-fi hotspot for your computer could be an expensive mistake if the data cap only applies to data used directly on your phone. Whether you’re heading into the great unknown for work or play, there are some things that you shouldn’t leave to chance. A little forward planning could save you a big shock when you get home.